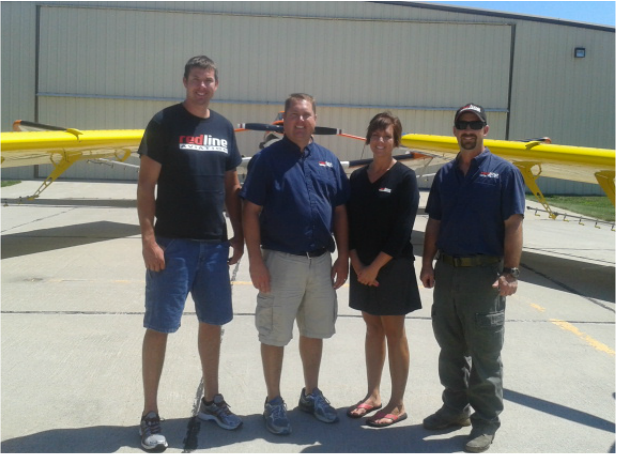 Redline Aviation Inc., owned by Ryan Lihs, was started in 2007 at the Pender, Neb., airport . The incorporated company services a 40-mile radius from Pender, including the states of Iowa and South Dakota. Lihs bought his first ag airplane, Cessna A188B, the same year. Three years later, in 2010, he invested in an all-new facility with an office, loading area, fuel tanks, containment pad and chemical storage facility. 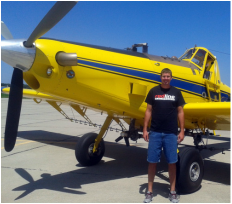 He also purchased his first turboprop airplane to spray with – an AT-402 Air Tractor. Lihs, started his flying career at age 14, went solo on his 16th birthday, received his pilot’s license when he was 17, and obtained his commercial license on his 18th birthday. 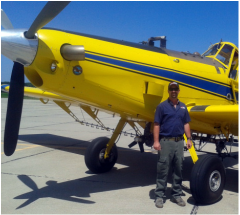 At age 20, he began spraying in a piper Pawnee. Before he started Redline Aviation Inc., he was employed by Aalfs Manufacturing, flying their Beech Jet in 2005 and 2006, and received his type certificate in a be-400 jet, which he flew to Mexico for two years for Aalfs. Since he started flying in 1994, he has logged 10,000 hours of flight time. Today, Lihs owns two turbo prop spray planes and the original Cessna 188, along with a Cessna 182 and piper J-3 cub for pleasure. 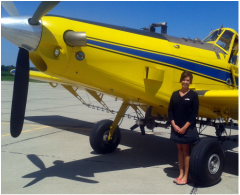 He holds ag ratings in Nebraska, Iowa, Kansas and South Dakota, and belongs to the Agriculture Aviation Associations in all four states and nationally. In addition, he is a board member of the Nebraska Aviation Trades Association (NATA). Lihs has a chemical dealers’ license for Nebraska and Iowa to sell ag chemical. His pilot ratings are private, commercial, instrument, multi-engine, seaplane and glider. He is joined in the business by his wife, Ashley, former nurse who started working for the company full time as office manager in 2010. She handles the day to day operations including booking and receiving all work orders, billing, accounting and bookkeeping. Another employee, Dallas Grimm, who started flying for Redline Aviation in 2012. Dallas, like Ryan has grown up in the aviation industry. He holds a private, commercial, instrument, ATP and helicopter license. Dallas also provides general maintenance and inspections and holds an A&P license. 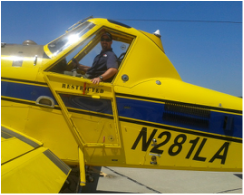 Joe Feauto has been employed at Redline Aviation since 2010, providing assistance to all the pilots from the ground. 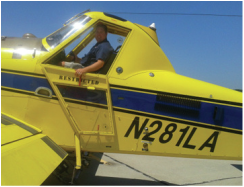 Joe's day to day operations include fueling, loading, maintaining and cleaning all aircraft. 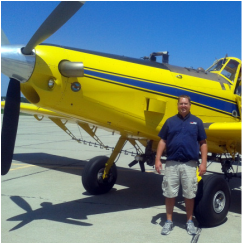 Joe is accredited with a Nebraska Pesticide Handlers License and holds a private pilots license.